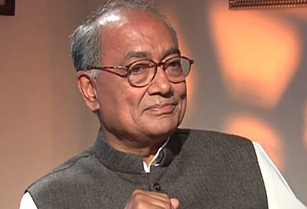 Alirajpur : Veteran congress leader Digvijay Singh created another political row by comparing PM Narendra Modi led BJP government with contentious Pakistani leader Zia-ul-Haq regime. In a contemptuous attack on the Modi led BJP government in centre, Singh said that the ruling party in India is promoting the religious extremism in the country. Stressing that extremism leads to terrorism, Singh pointed that a similar kind of religious extremism is being promoted under Modi’s governance in India as done by former Pakistani dictator Zia-ul-Haq that led to a spurt in neighbouring country Pakistan. “Extremism leads to terrorism. Religious extremism as promoted by Zia-ul-Haq in Pakistan led to a spurt in terrorism there. There is religious extremism being promoted by ruling government in India, the so-called Hindutva, this is a similar dangerous trend,” Digvijaya Singh told the media. “What’s happening in Afghanistan? The thing is it’s a fight of ideologies, wherever such intolerance and such ideologies exist, there will be terrorism and such intolerant ideologies gives birth to terrorism, religious intolerance give way to terrorism,” Singh said. Muhammad Zia-ul-Haq, who served as the 6th President of Pakistan from 1978 until his death in 1988 is known for his dictatorship. This is not the first time Congress leaders have drawn comparisons between India and Pakistan. Just recently Congress leader and Triuntapuram MP Shashi Tharoor has provoked a massive fury with his remark that India will become ‘Hindu Pakistan’ if BJP wins 2019 general election. Tharoor’s statement drew criticism from various political quarters, with the BJP demanding an apology from the Congress president Rahul Gandhi.